HE4000 video encoder supports HEVC compression and is designed to optimize the distribution of SD, HD and 4K contents over unmanaged networks such as the public internet. 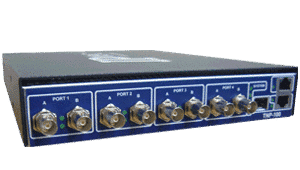 Encoder one 4K UHD video signal as 12G-SDI or four HD video signals as 3G-SDI over the Public Internet. High-Quality HEVC 4K Encoding: The HE4000 implements the best-in-class HEVC (High-Efficiency Video Coding)/H.265 video encoder. Based on the latest generation of HEVC/H.265 technology the product revolutionizes video coding by delivering the same visual quality as H.264/AVC at 50% of the bitrates with the ability to support SD, HD, and 4K resolutions. Hi Jim, Thanks for your support throughout this project (Ryder Cup Golf Tournament). Not only was the AVIWEST gear great, the VidOvation support was excellent. 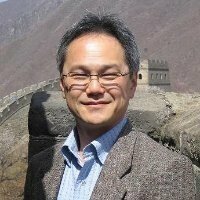 Looking forward to doing more in the future. Contribution over unmanaged networks: Thanks to AVIWEST’s patented SafeStreams® technology that implements an intelligent IP bonding stack and powerful contribution network protocols, such as the H-ARQ (Hybrid Automatic Repeat Request) mechanism, the HE4000 assures the delivery of live video even in the midst of unpredictable and unmanaged network conditions, enabling broadcasters to provide seamless news and sports coverage from any location around the world. 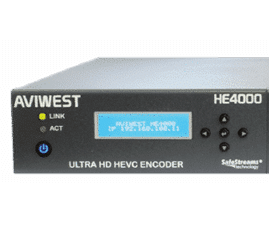 By combining HEVC encoding and AVIWEST’s SafeStreams® contribution technology, the HE4000 dramatically reduces bandwidth cost while guarantying a superior video quality. 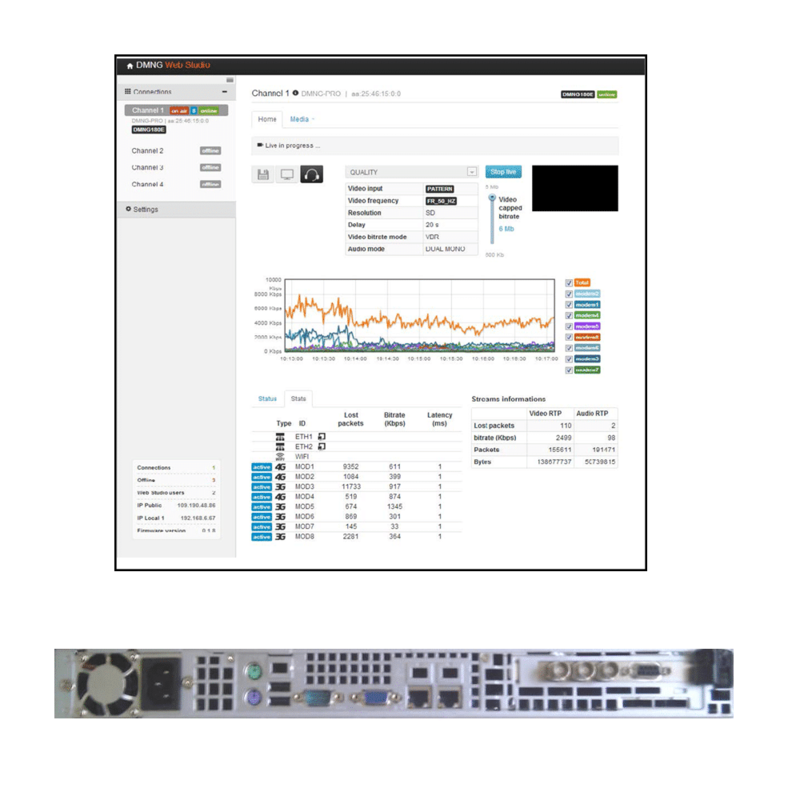 Integration with the DMNG ecosystem: The HE4000 HEVC 4K contribution encoder is fully integrated with the DMNG Manager and DMNG StreamHub receiver to simplify system monitoring, management, content reception, and distribution. 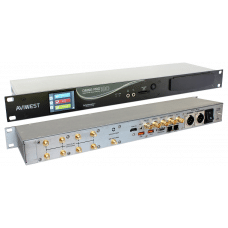 Compact platform: The HE4000 features a 1RU 1/2 rack compact design that reduces power costs and space requirements, enabling broadcasters to cost-effectively address the growing consumer demand for superior quality live and on-demand video content.